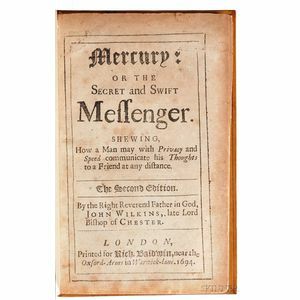 Wilkins, John (1614-1672) Mercury; or the Secret and Swift Messenger. Shewing How a Man may with Privacy and Speed Communicate his Thoughts to a Friend at any Distance. 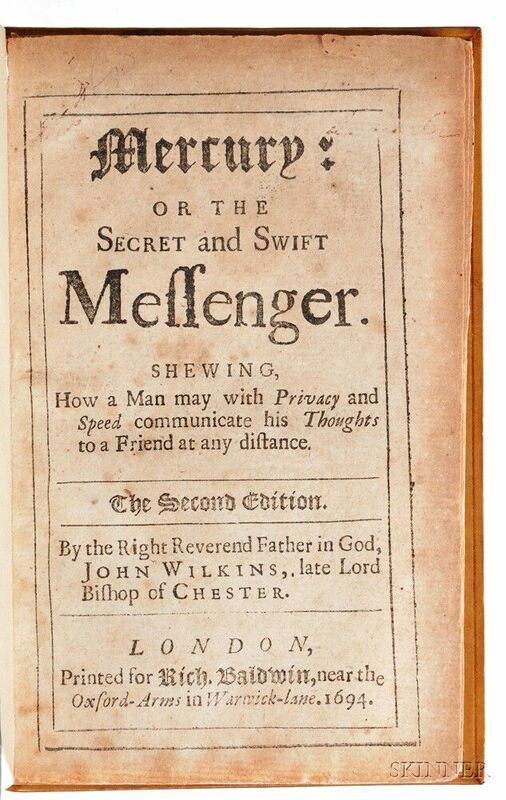 London: Baldwin, 1694. Octavo, second edition, lacking initial ?blank A1, publisher's advertisements present at end; bound in full modern calf, pages delicate, browning throughout, 6 x 4 in. A7 (lacking initial ?blank A1), B-M8.